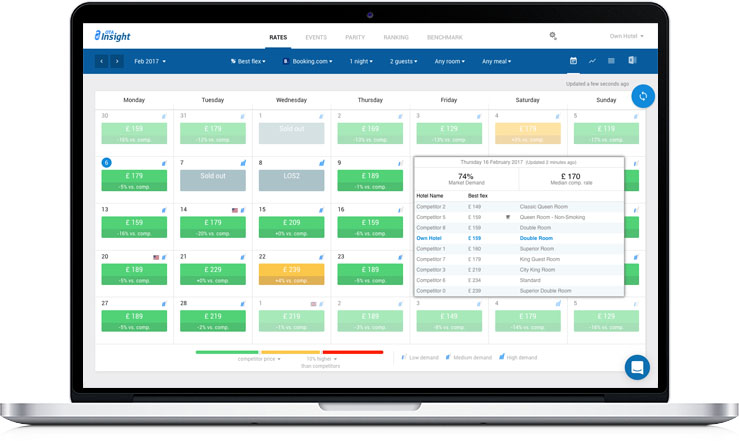 This analytics tool lets you investigate your listing on Online Travel Agents (OTAs). It shows real-time pricing reports, demand forecasting, details of upcoming holidays and events. Studies implemented by OTA insights have shown that hotels increase revenue by 6 per cent while driving growth in average daily rates and occupancy even where there is stiff competition.